Visit my Facebook page for the latest class schedules and events. Learn the ancient art of glass bead making using high-tech equipment to melt glass rods into beads. After an overview of safety and equipment and tools, watch demonstrations and use a duel fuel torch to create your own unique beads. Learn to make basic shapes such as round, bicone, barrel, and tabular. We will explore surface decorations including frit, clear encasing, bumps, dots, stringers and twisties. Call 941-320-1226 to reserve your space. 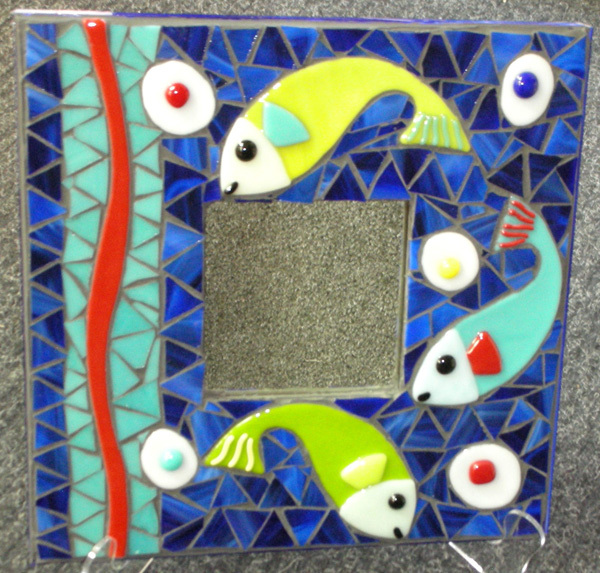 In this workshop you will design a mirror frame using fused glass components that you will make. 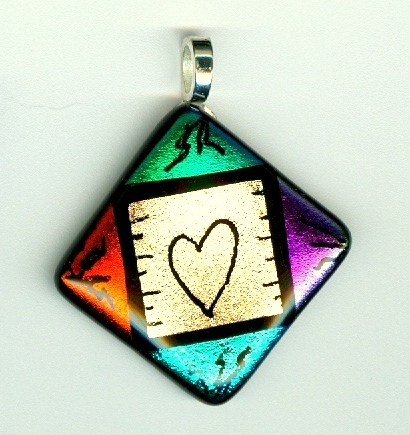 Basics of cutting and fusing glass and traditional mosaic methods are covered to finish the frame. Do you have a group that would like to learn something new? I have taught this class to Red Hat Ladies, Girl Scouts, elementary schools, women's groups, Girl's Night Out, families and friends, YMCA, and various community centers. I bring all the tools, supplies and small kiln with me. I can accommodate up to 20 adults or a classroom of children. The cost is $5 and up to $35/person depending on the number of students and the complexity of the projects. For more information or to schedule a class, call 941-320-1226 or email me at Info@FirebugDesigns.com. 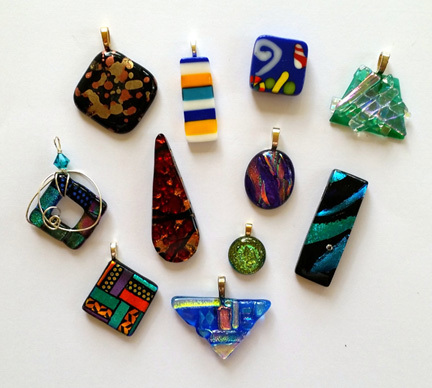 Learn to create a pendant and/or earrings using frits, stringers, rods, dots, as well as pieces of glass that you cut yourself. 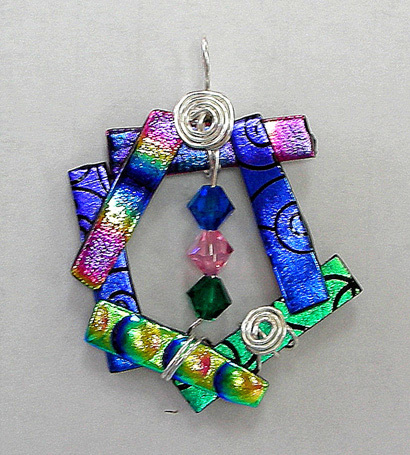 This is a great class for someone looking for a fun way to be creative while learning the art of fused glass. No experience necessary. All materials included.